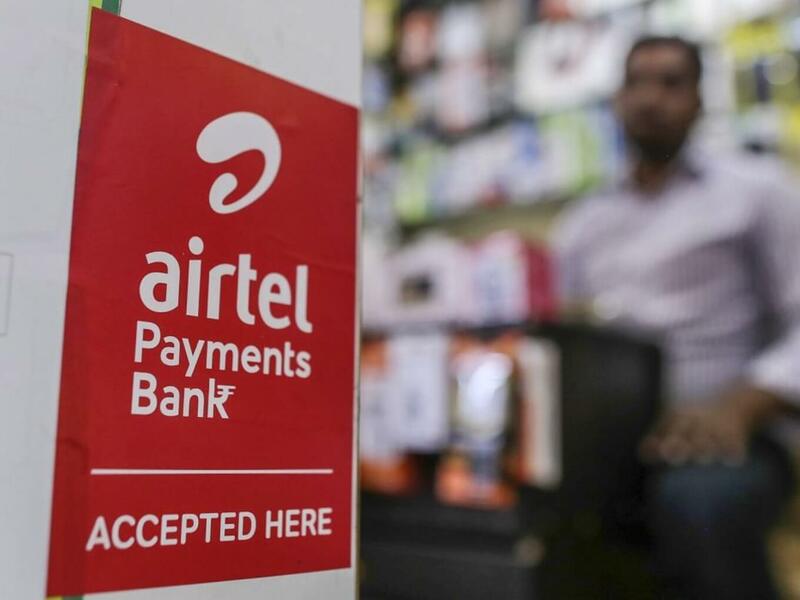 Payments banks in India have deposited a total sum of $74.5 Mn (INR 540 Cr) as on May 2018, of which Airtel Payments Bank deposited the highest — $42.3 Mn (INR 306 .74 Cr) — according to a Right to Information (RTI) query filed by ToI. The RTI further revealed that Paytm Payments Bank deposited $26.7 Mn (INR 193.68 Cr), while Fino Payments Bank and India Post Payments Bank (IPPB) deposited $5 Mn (INR 37 Cr) and $191K (INR 1.39 Cr), respectively, as on May 2018. However, the funds deposited by payments banks are much lower than the funds mobilised by large bank branches. Payments banks’ deposits were less than 0.005% of the overall bank deposits of $1.5 Tn (INR 115 lakh Cr), the RTI query revealed. Telecom company Airtel launched Airtel Payments Bank about 18 months ago. It operates across India and boasts a network of more that 250K banking points (Airtel retail stores) across 29 states. In January this year, the bank committed to invest $440 Mn (INR 3K Cr) to develop a pan-India banking network and digital payments ecosystem. In July this year, Patym, owned by One97 Communications, announced to have achieved an annual run rate of 5 Bn transactions and $50 Bn in gross transaction value (GTV). In the case Paytm, the $26.7 Mn deposits pale in comparison to the $484 Mn (INR 3,500 Cr) the bank aims to spend in three years merely to complete the KYC (know-your-customer) process for its existing customer base, the report says. Mumbai-based Fino Payments bank earlier said that it plans to raise $43.8 Mn (INR 300 Cr) by October-November this year. The payments bank claims to have a customer base of 1 Mn and plans to increase the figure to 3 Mn by March 2019. Meanwhile, PM Modi officially launched India the Post Payments Bank (IPPB) on September 1. Earlier, the IPPB was running in a pilot basis. Telecommunications minister Manoj Sinha expects the IPPB to be profitable after two years. It started operations with the launch of 650 branches across the country. The Reserve Bank Of India (RBI) recently asked Mumbai-based Fino Payments Bank to stop account opening operations after the RBI found out it had more than the stipulated amounts of deposits in some of its accounts. Payments banks are not allowed to hold deposits of over $1.3K (INR 1 lakh) in each account. Previously, Airtel Payments Bank and Paytm Payments Bank were also banned from conducting eKYC of customers using Aadhaar. In a bid to promote the idea of banking beyond India’s major metro cities, the India government has keen expand payments banks as an asset-light model meant. However, promoters of payments banks are of the view that payments banks’ success should not be measured only on the basis of the size of their deposits, but the larger context of financial inclusion.